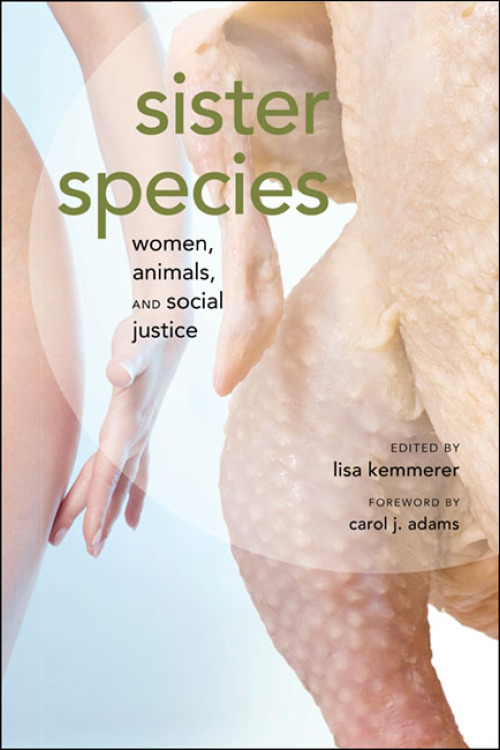 I just received my contributor copy of Sister Species: Women, Animals and Social Justice, edited by Lisa Kemmerer. Very honored to be included with all these women. Contributors are Carol J. Adams, Tara Sophia Bahna-James, Karen Davis, Elizabeth Jane Farians, Hope Ferdowsian, Linda Fisher, Twyla François, Christine Garcia, A. Breeze Harper, Sangamithra Iyer, Pattrice Jones, Lisa Kemmerer, Allison Lance, Ingrid Newkirk, Lauren Ornelas, and Miyun Park. My essay “Small Small Redemption” is about my time in Cameroon volunteering for a chimpanzee sanctuary and coming into awareness of how logging, hunting and big oil are disrupting the forests and the many beings within them. It is a personal story that explores the linkages of environmental destruction and economic disparities. It is also a story of mothers and babies and the trauma of breaking that bond. “Sister Species: Women, Animals, and Social Justice addresses interconnections between speciesism, sexism, racism, and homophobia, clarifying why social justice activists in the twenty-first century must challenge intersecting forms of oppression. Posted in Primates, Women, Writing and tagged Animals, Books, Social Justice, Women.